Passengers is a film that will appeal to a vast variety of people, this is no way near a perfect movie and does have its flaws but there is truly something for everyone, if you’re a fan of sci-fi, thriller, drama or romance, this is a must watch! The film opens by introducing us to Chris Pratt’s character (Jim Preston) on a 120 year journey upon the Avalon, travelling through space to a new planet along with 5,000 other passengers asleep in hibernation pods. After a malfunction occurs Pratt’s hibernation chamber awakes him 90 years too early. The first act of the movie centres on his character realising and attempting to come to terms with his situation, the movie delves into subject matter that adds shock value to what we are watching including suicide and social stratification. 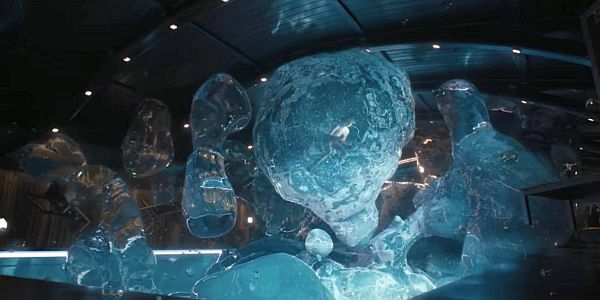 Pratt’s performances throughout Guardians of the Galaxy, Jurassic World and now Passengers clearly demonstrates his capability of being the leading man, his ability to convey fear, anxiety and loneliness succeeds in bonding the audience’s emotional connection with him and his actions throughout the course of the movie. The first act of Passengers is used perfectly to set up character development and narrative, such as it is in this day in age, the Avalon houses people of different social status which determines the luxuries they are entitled to, think economy and first class on an airline. 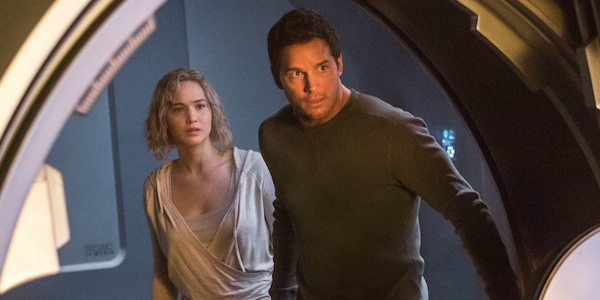 Pratt’s character is lower class and therefore is given a tiny unfurnished room who only a bed and is even restricted to the type of meals he can order. This time is used perfectly to establish the characters nature, motivations and skill set, for example after we learn that Jim is a mechanic he uses his skill set to his advantage to make his isolation slightly less miserable. The set designs are beautiful and plush; we are shown the many amenities the Avalon offers including fancy restaurants, bars, sports centre, games room, swimming pool and a visually stunning spacewalk. 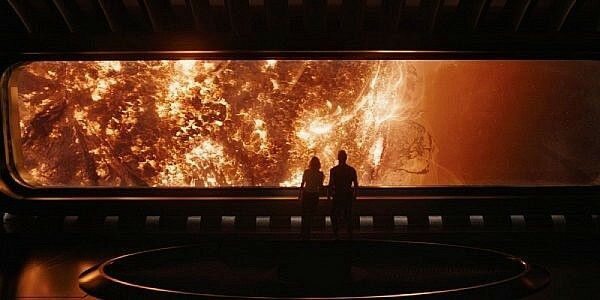 The scope is incredible and helps create a sense of realism and practicality even for a movie that’s set in space. Michael Sheen brilliantly plays an android bartender called Arthur who serves as Pratt’s only source of company for over a year but with every will in the world, he longs for human company. Now there is an argument to be made about whether you agree with a certain decision that Pratt makes but it’s worth bearing in mind by this point in the movie he’s been by himself for over a year (watch this movie with a partner or friends and I guarantee you will be discussing this), without giving any spoilers away Jennifer Lawrence’s character (Aurora Lane) is thrown into the same nerve wracking situation with Pratt. One of the biggest praises I have for this film is the believable chemistry between the main leads, at the core of this movie is a love story between a couple that are the complete opposites in terms of personality and life style. Lawrence’s character is strong willed, confident and is accustomed to a better way of living. She’s an adventure seeker who has joined the voyage to further her career as a journalist, In comparison to Pratt’s character who is travelling to a new planet to better his life, the pair fall for each other in such frightful circumstances. The other standout element in Passengers is the spectacular visual effects; the exterior of the Avalon is slick and the spacecraft becomes its own character, equivalent to the Notstromo in Alien or the USS Enterprise in Star Trek. Scenes such as the zero gravity swimming pool and the observatory are breath-taking. The effects team including Erik Nordby, Pete Dionne and Dan Sudick who have all previously worked on numerous big blockbusters, have now crafted a beautiful film and Passengers is visually stunning to watch. The supporting cast is very strong with Laurence Fishburne and Michael Sheen, however my only gripe with Passengers is that it feels as if Laurence Fishburne is used as a plot devise to move the story along. Fishburne plays Chief Deck Officer Gus Mancuso whose hibernation pod also malfunctions, however unlike Jim and Aurora, Gus wakes up with unfortunate circumstances and his screen time is used to show our protagonists how to fix the damaged ship and use the Medical Pod. Personally, I would have preferred this time to be spent with Pratt and Lawrence finding the solutions themselves, working out their differences and pushing their complex relationship further, however this is no way ruins the movie as Fishburne is an outstanding actor. I couldn’t believe the negative criticism this film got upon release, if you read movie goer’s reviews and paid critics reviews you will notice the substantial difference in opinion and personally I feel that the paid critics reviews are a tad harsh. 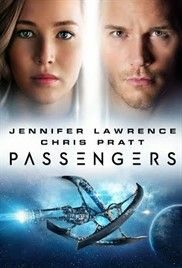 Like me, most people thoroughly enjoyed this movie, its packed full of drama, suspense and action, Passengers is 2 hours of pure entertainment!